Water your plants and make them ready for battle because now Plant vs. Zombies is available for your PC too. This game for windows is a tower defense game where you have to stop the zombie invasion in your place and the garden is the last defense line for you and with the help of the given trees you have to kill the zombies and wipe them out from your place. The plants given to you are really good enough to stop them. This game is a bit different from other tower defending games which are available in the market because here to stop the enemy advancement, you have to shoot them with various plants available to you. But as they come in a straight line and there are no options to modify their path you have to kill them by strategically placing your plants. At first you get a pea plant to attack the zombies, then as the game progresses you get more credit points using which you can harvest new plants. And for extra credit you can use the sun over there in the sky. It will enrich you with 25 extra credit points after successfully completing the level. Sometimes plants also provide credit points throughout the game levels. 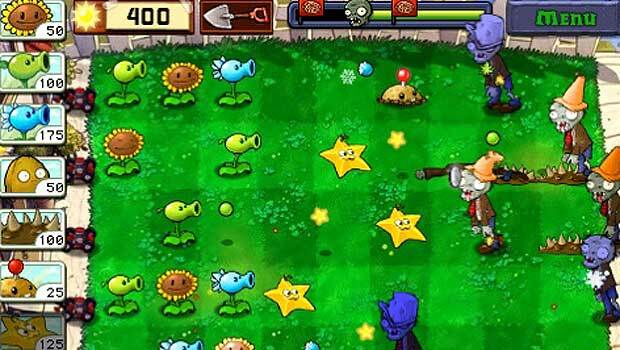 The plants like wall-nuts, peashooters, cherry bombs and other plants are the only weapons you can use it here to stop zombies, but as the level upgrades killing zombies become tougher so you have to make your planning to put the plants in such a way that at any cost you can save your home and the garden. To play this tower defending action- strategy game you need to install it first. You can easily download it from the PopCap website or you can do it from app stores like Google play. But before installing it in your pc make sure that the .net framework already is there and if it’s present don’t forget to update it. If you are using windows XP or 7 you need to check these things but if you are using windows 8 you don’t have to think about that because in this operating system the required framework is pre installed. Now after downloading you can install it in your pc and start playing the game. If you are facing any problem or seeing any error messages in time of running the game, you can alternatively take the help of android emulator like bluestack which is regarded as one of the best in this category. Now, after installing bluestack in your pc from its app store, you can find the Plants vs. zombies set up file and install it and play with ease. Though this game doesn’t have astounding features, but still its graphics are quite good and smooth. The best part is that it can install in the nick of time and doesn’t keep you waiting to load. Its fun loving zombies and soldier plants from your garden has everything to amuse you and you can easily spend time with theses little lovely creatures. It is really a funny and addictive strategy game with lots of objects to make you happy. So if you really want to play it, follow the steps and have it in your PC too.